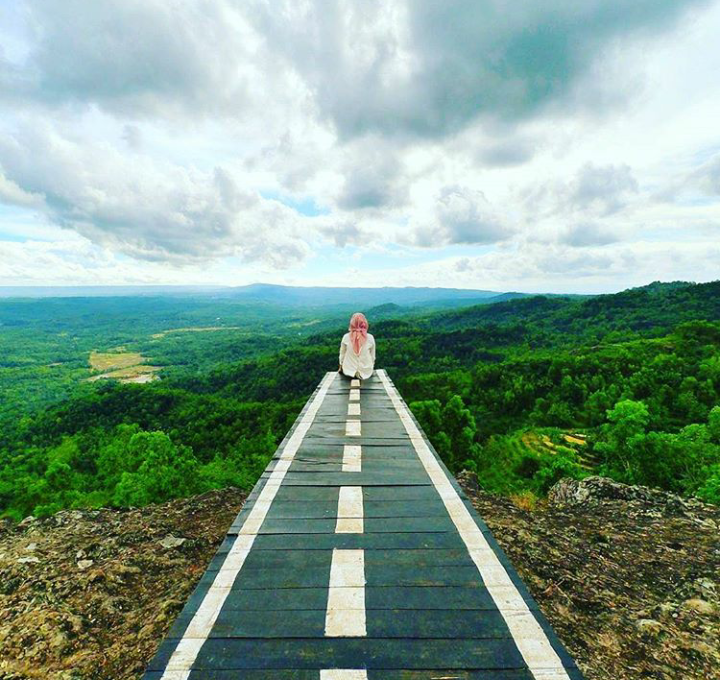 Gunungkidul is one of the districts in Jogja that presents a variety of tourist destinations with its own charm and uniqueness. Starting from nature tourism, cultural tourism, religious tourism, shopping tour, to culinary tourism you can find in Gunungkidul. 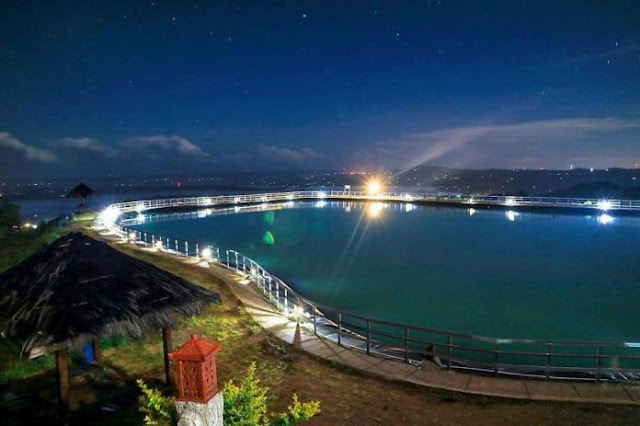 Not only that, there are many attractions Gunungkidul that you can visit at night. Gunungkidul tourist attractions at night of course is perfect for those who are busy working or have other busyness in the afternoon. For the issue of admission rates, all of Gunungkidul's attractions offer cheap admission rates for all walks of life. 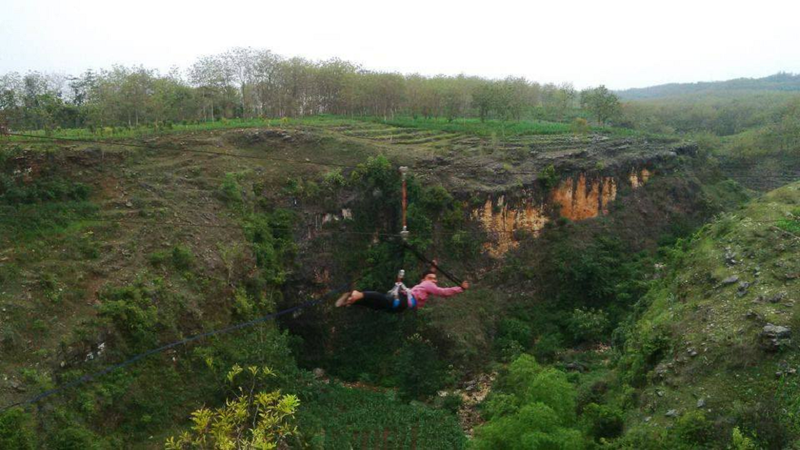 There are even some tourist attractions in Gunungkidul are free. 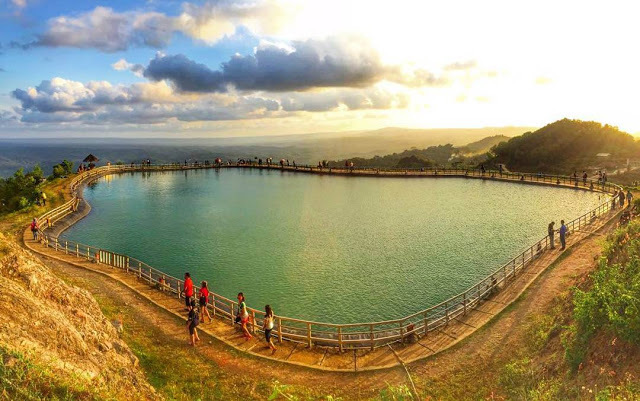 Gunungkidul tourism place is mandatory you visit during the holiday season, weekend, or ordinary days. For those of you who are interested to travel in Gunungkidul, you should see 8 tourist destinations Gunungkidul must be visited in the following. Bukit Bintang or Hill Stars is one of the best spots to enjoy the beauty of Jogja at night. Bukit Bintang tour you can find in Jalan Jogja-Wonosari. To arrive at this tour, you need to travel approximately 15 km from the city of Jogja. 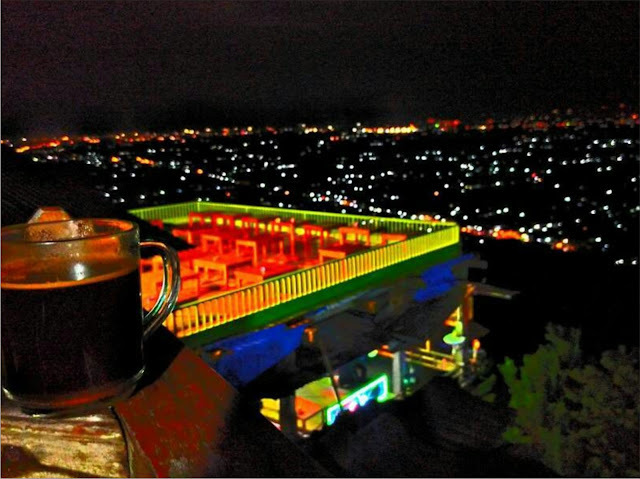 When you arrive at the location of Bukit Bintang, you will be spoiled by the sparkling lights of the city of Jogja is so fascinating. So that the atmosphere is more exciting, you can brew coffee and snacks in Bukit Bintang. In Bukit Bintang area there are indeed many stalls and a simple coffee shop. Although the average building is still semi-permanent, but the scenery is very beautiful. Even from this place, you can also watch the plane that landing or take off at Adisucipto Airport and landscape of Mount Merapi Merbabu. So no wonder if Bukit Bintang always crowded with visitors, especially the young. Not only the night only, Bukit Bintang is also crowded visited during the day. To get to Bukit Bintang, the access road you need to go through is very easy. You just need to walk down the road to Wonosari, Gunungkidul. Bukit Bintang tourist area is on the side of the road after climbing from Piyungan area and before arriving at the Patuk Sub-district. At the edge of the main road that directly facing the cliffs have been built long concrete chairs that you can make as a seat. From the concrete seats, you can also see the atmosphere of Jogja without hindering by anything. Embung Nglanggeran was inaugurated as a tourist place by King Jogja, Sri Sultan Hamengkubuwono X on February 19, 2013. 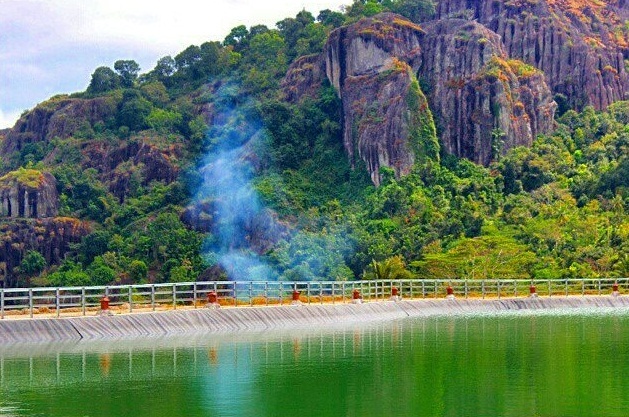 Not only become a tourist spot, this Nglanggeran Embung also serves as a reservoir or water storage to irrigate the gardens under the hill Nglanggeran. Therefore, this place is also called the Nglanggeran Fruit Garden. In Embung Nglanggeran has been available complete facilities such as a large parking lot, toilets, pendopo, gazebo, and coffee shops. 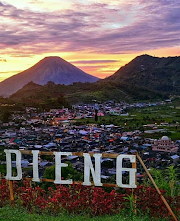 Embung Nglanggeran tourism area is adjacent to another tourist attraction, namely the Ancient Volcano with a very beautiful scenery and suitable for hunting sunset. That way, you can travel to Embung Nglanggeran as well as to the Ancient Fire Mountain. For you who want to travel to Embung Nglanggeran, you need to pay entrance fee of Rp. 7,000. Regarding location, Embung Nglanggeran is located in Nglanggeran, Patuk, Gunungkidul Regency, Special Region of Yogyakarta. 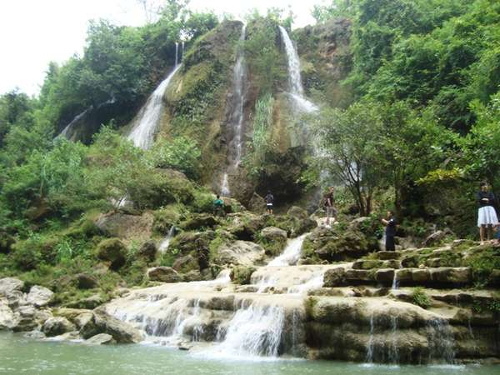 Sri Gethuk Waterfall is located in Menggoran Hamlet, Bleberan Village, Playen Subdistrict, Gunungkidul, DIY. 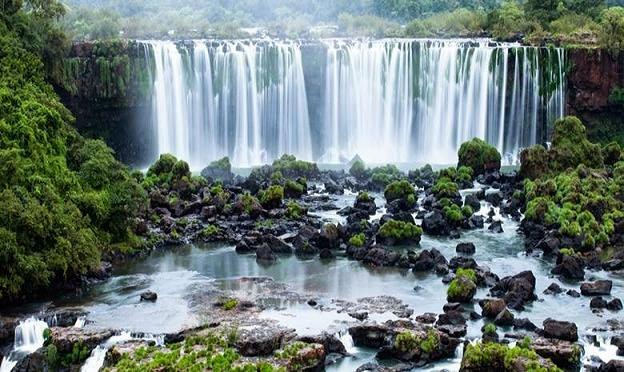 This waterfall tour is so popular among tourists. This is because Sri Gethuk waterfall has a resemblance to one of the tourist attractions in the United States, the Grand Canyon Arizona. The flow of water does not recognize the season, although the long drought of water still flowing smoothly. The rocks that are under the waterfall arranged very neatly like a staircase. As you approach and hit your body with a splash of water, you will feel you are in a fairy-tale country enjoying the waterfall Sri Gethuk waterfall. To get to the location of Sri Gethuk waterfall, you will go through a fairly easy route to reach. From Yogyakarta city, you can go towards Wonosari road, you way up towards Pathuk Gunungkidul. Arriving in Pathuk, you are straight until you find the T-junction. Then you take the direction to the right with the aim of Playen. From Playen, you take the right direction to Palihan Sub-district. When you arrive in Palihan, you will find a fork, you take the right direction. Later you will find a signage road to the location of Sri Gethuk waterfall tour. You follow the existing road directions, which is about 7 km, just after that you arrive at the waterfall Sri Gethuk. 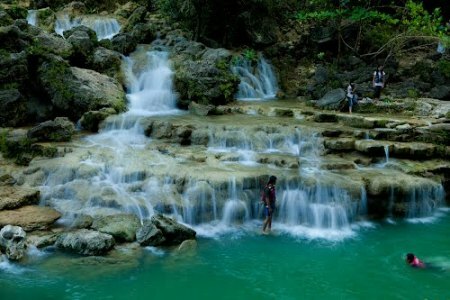 To get into the tourist area of ​​Sri Gethuk waterfalls, you will only be charged the entrance fee of Rp. 7,000. With the cheap price, you can feel the freshness of the flow of water. In addition, you can also take pictures with the background of a beautiful waterfall. In addition, you can also rent a boat at a price of Rp. 10,000 to walk through this tourist area. You will feel the experience of a tour that you can not find in other tourist attractions. 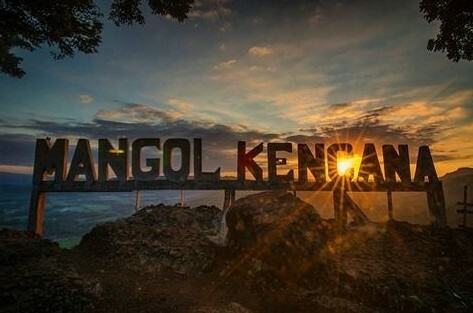 Mangol Kencana is one of the tourist attractions that is perfect for you sunrise lovers. When you visit Mangol Kencana, you can take advantage of the facilities available. 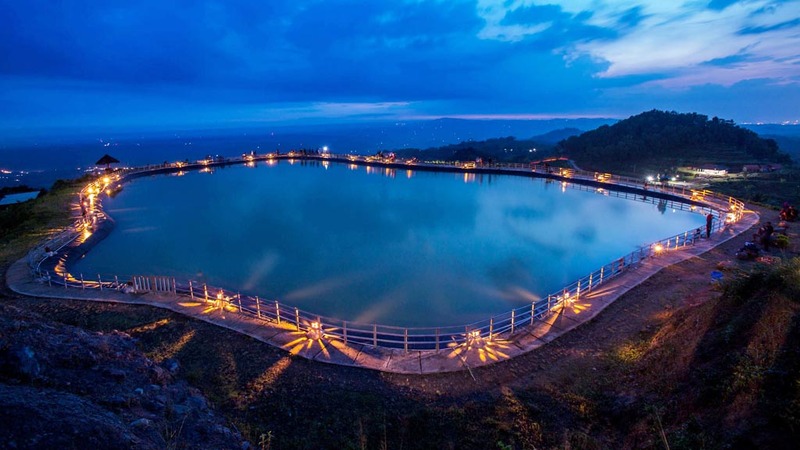 The Mangol Kencana facilities include the viewing post, gazebo, food vendors, and many more. Access road to Mangol Kencana was fairly easy to reach. 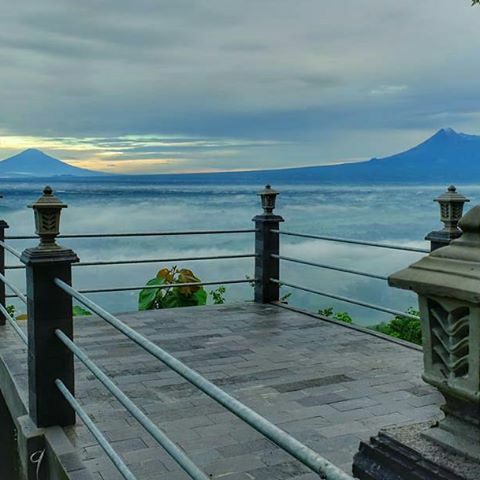 Access to tourist attractions Mangol Kencana is in line with the location of Ancient Volcano Nglanggeran and Embung Nglanggeran. Mangol Kencana location is only about 2 km from the intersection Patuk, directions to the Mangol Kencana viewing post you can see on the roadside. You can find this Mangol Kencana Hill tour in Sumbertetes Hamlet, Patuk Village, Patuk Sub-District, Gunungkidul Regency. 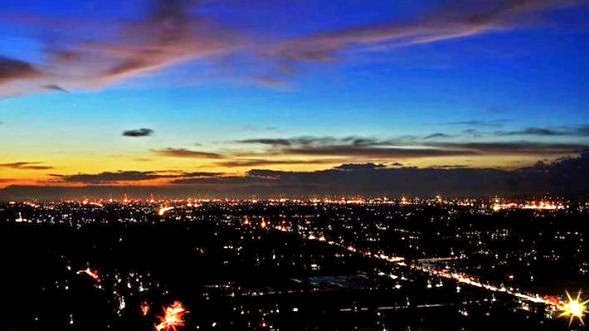 In this tourist spot, you can see the panorama sunset is very beautiful and also dramatic. The dusk seen from this hill is so beautiful. You should capture this moment with your phone as it will look very perfect and amazing. 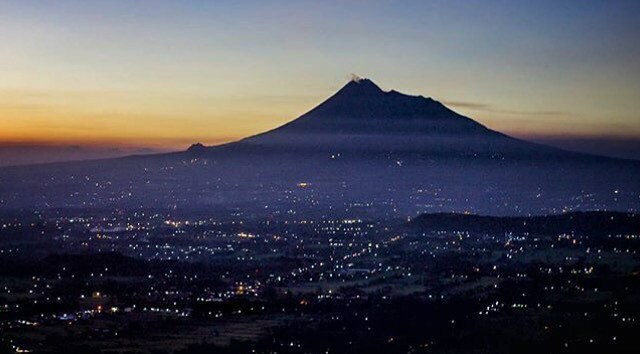 If lucky to come here when the weather is clear, Mount Merapi in Kaliurang will be seen clearly from this hill. Beautiful scenery coupled with breezy breeze make anyone comfortable coming. Guaranteed you will feel at home in this place. You will feel addicted to travel to this Mangol Kencana tourist attractions. When you visit Bukit Bintang or Hill Stars, incomplete if not visited The Manglung Resto. 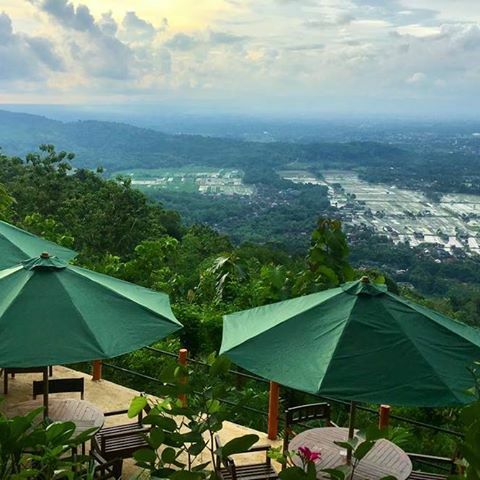 The Manglung Resto is a resto restaurant featuring cool natural scenery with cool air. Moreover, the location of The Manglung Resto is very strategic. 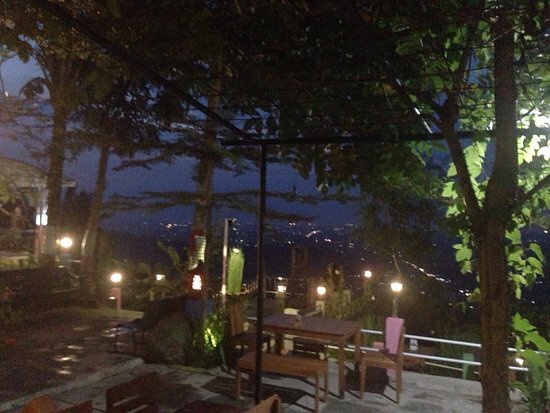 You can visit The Manglung Resto at night for a romantic feel. Regarding the menu, The Manglung Resto offers various types of menu. If you are curious about The Manglung Resto, you just go to Jl. Ngoro Ngoro Ombo No.16, Patuk, Gunungkidul Regency, DIY. Mulo Valley becomes the main entrance or gate to several tourist attractions in Gunungkidul. Mulo Valley area is planned to be used as geowisata and geopark by the local government. Apart from being a tourist destination, Mulo Valley area is also often used as a karst observation object because it offers its own uniqueness. This Mulo Valley offers beautiful scenery that you can enjoy when traveling to the beaches in Gunungkidul. Glimpse of the scenery in the hills Karst Mulo similar to the Grand Canyon in America. 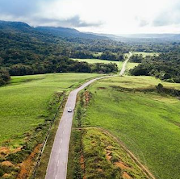 Mulo Valley location is also very strategic, which is on the main route to several tourist attractions in the region Gunungkidul and there in the middle zone karst hills. More precisely, this Mulo Valley is located in Mulo Village, Wonosari District, Gunungkidul Regency, Special Province of Yogyakarta. To enter the tourist area of ​​Mulo Valley, you will not be charged the entrance fee. In addition, you can visit this Mulo Valley anytime because it is open 24 hours. Peak 4G stands for Peak of Gunung Gentong Gedangsari Gunungkidul. 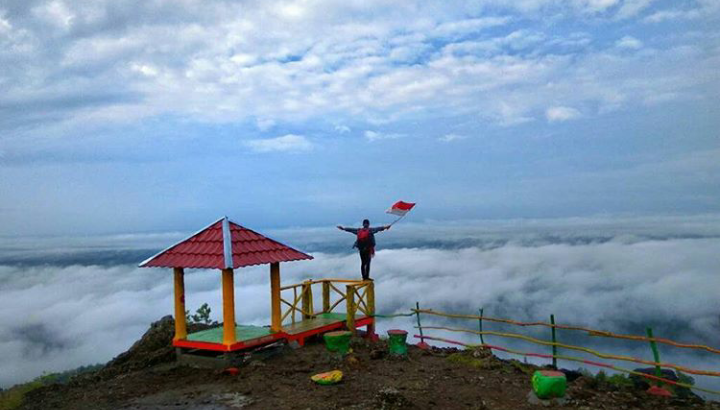 4G Tourism Peak is in Padukuhan Manggung, Ngalang Village, Gedangsari District, Gunungkidul. 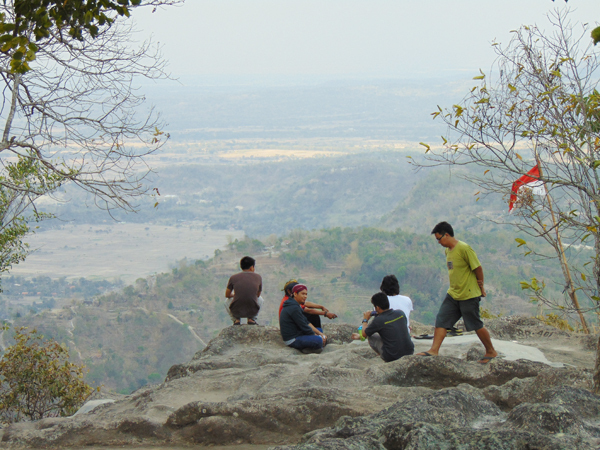 To get to the location of Peak 4G, it takes travel time about 1 hour from the city of Yogyakarta. Meanwhile, if you come from District Gedangsari, you will only travel about 5 km to the south. 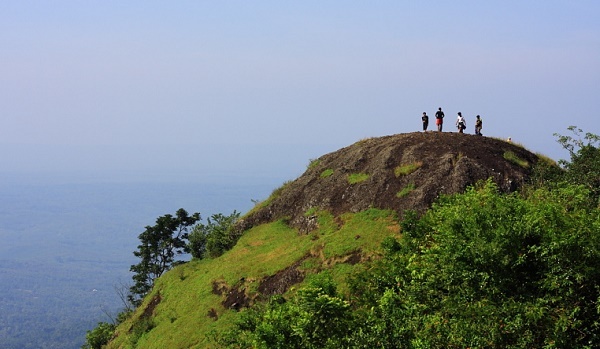 4G is a mountain tourism area consisting of Mount Gentong, Goa / Song Pringgoloyo or Mount Omben Crow, Mount Tunggak, Mount Tumpang, Watu Belah and many others. According to local residents, 4G was once the place of Prabu Brawijaya V. In addition to its historical story, 4G is stealing the attention of tourists because it offers cool photo spots. The cool photo spot in this 4G is sunrise, fog tour, sunset, and camping ground. Not only that, there is also an interesting photo spot in the form of toll omben gag and gazebo viewing post. About facilities, Peak 4G provides facilities that are still very minimal. As for the access road from the parking location to the peak area is somewhat slippery when it rains because it is still in the form of soil. Mount Gambar or Picture Mountain is a hill that has a meaning as a place to describe something. Tourist attractions Mount This image has a height of about 200 m asl. Mount This image is about 30 km from Wonosari City or 70 km from the City of Jogja. In Mount Gambar there are 2 petilasan sites. The first petilasan is petilasan Ki Ageng Gading Mas of the Majapahit Kingdom, while the second petilasan is petilasan Prince Sambernyawa. Not only that, in the hamlet of Gununggambar there is also a popular temple named Bentar Temple. When you are at the top of Mount Gambar, you can see the stunning natural scenery. 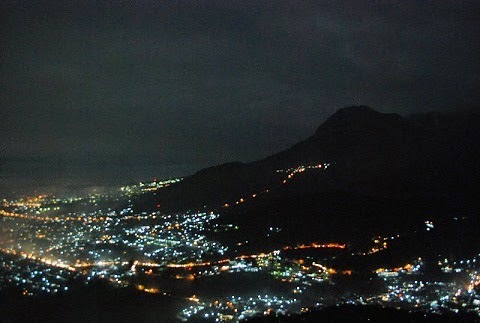 In the evening, you can watch the sparkling lights in Klaten and Solo. More than that, you will also be pampered with views of the rice fields around the fascinating Image Mount. About the location, you can access the location of Mount Gambar by private vehicle, either two or four wheels. You can also take advantage of public transportation. 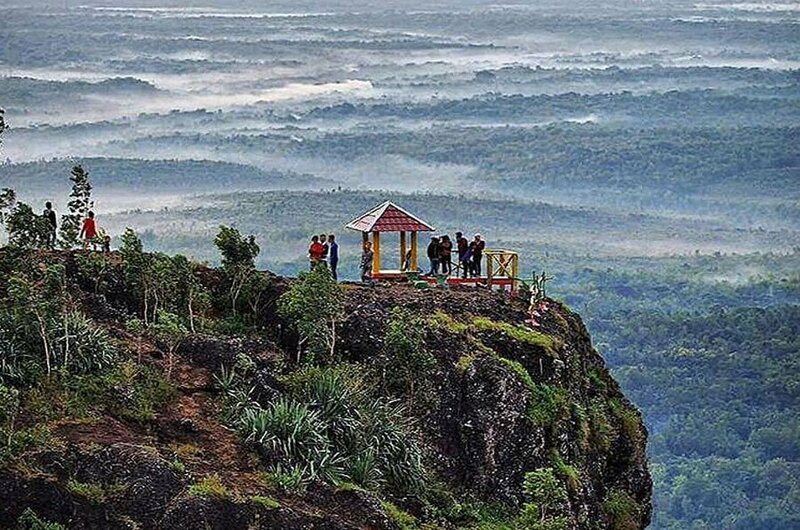 Mount The picture is located in the hamlet of Gununggambar, Jurangrejo Village, Ngawen Subdistrict, Gunungkidul. That's 8 tourist destinations in Gunungkidul, don't forget to visit.